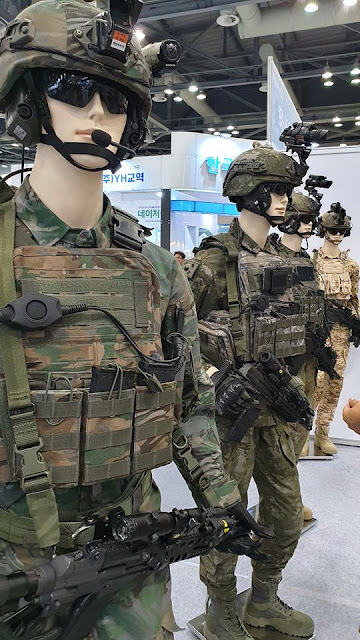 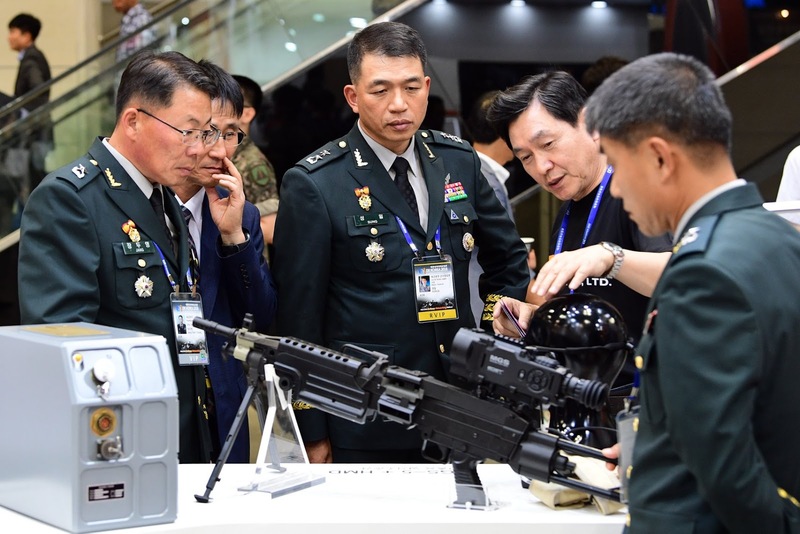 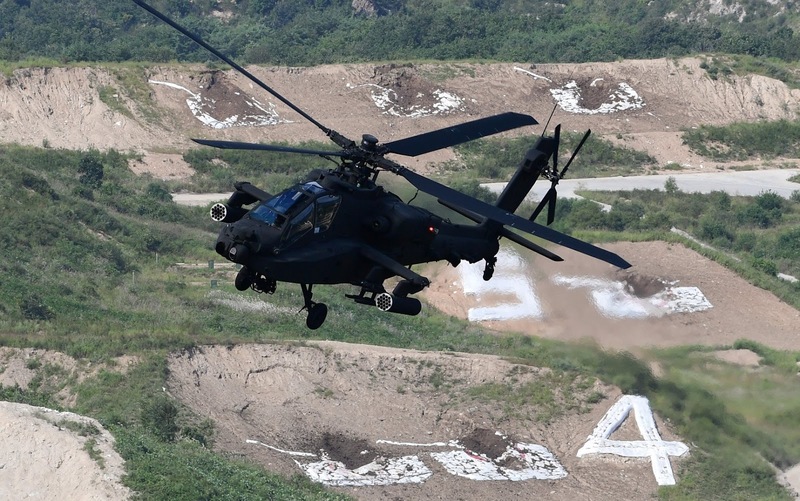 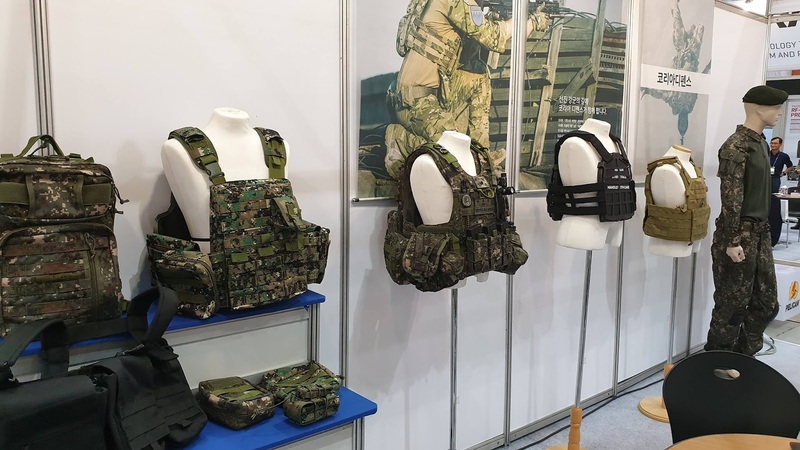 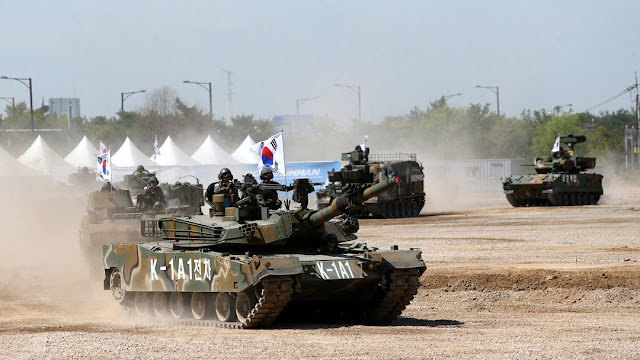 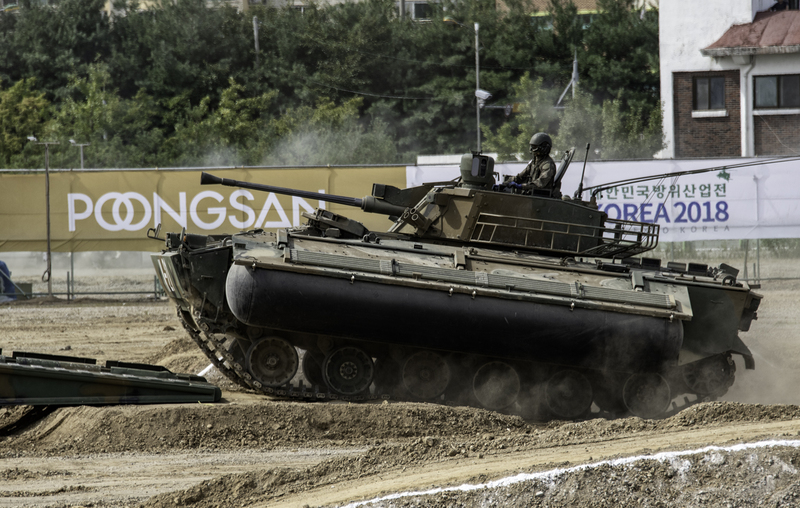 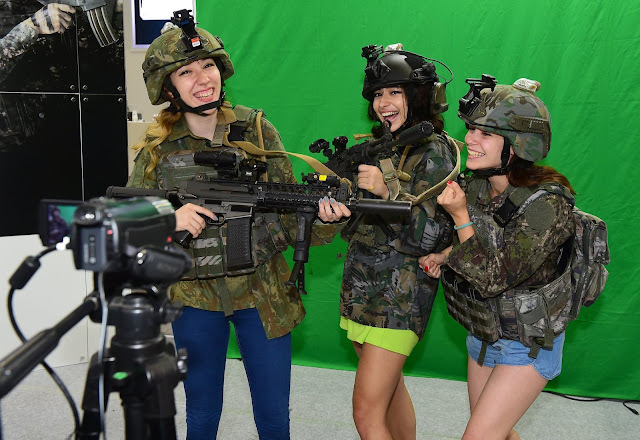 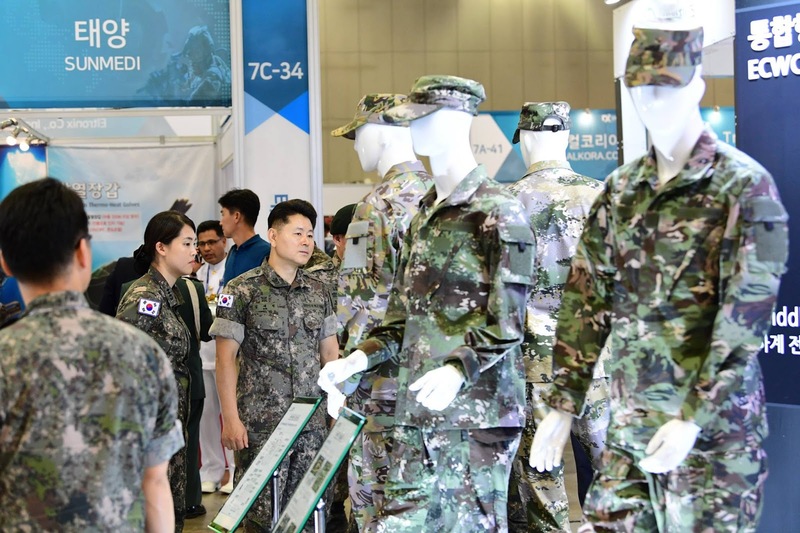 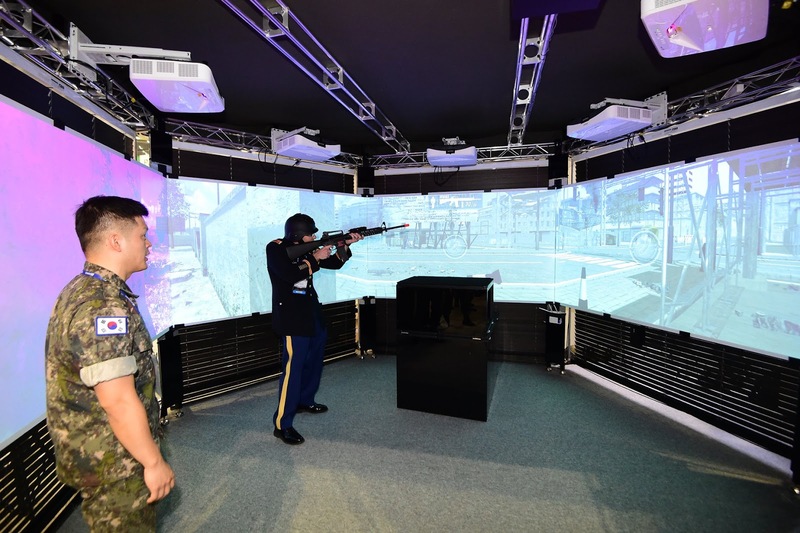 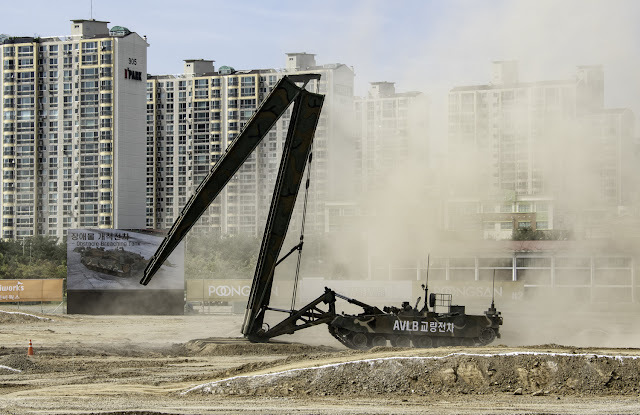 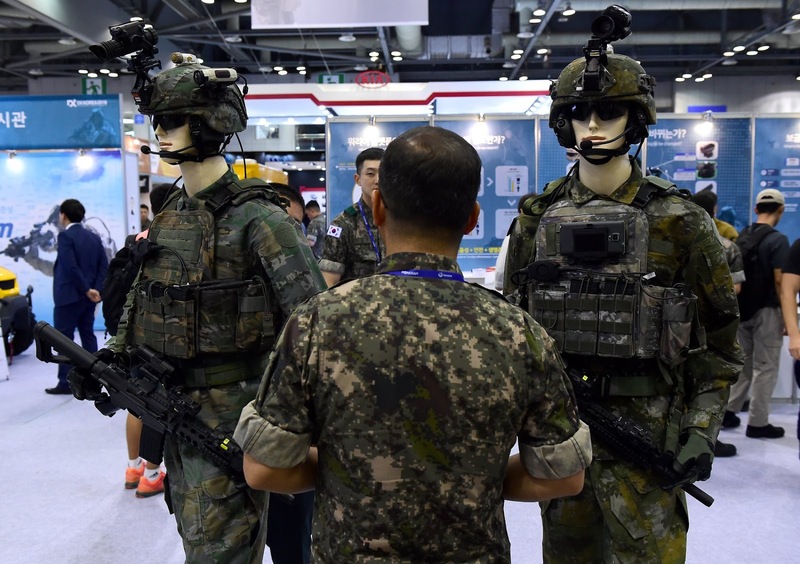 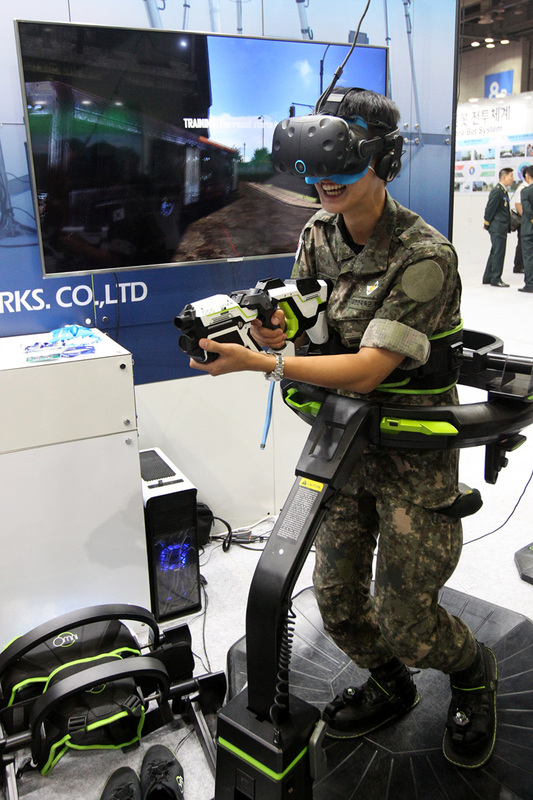 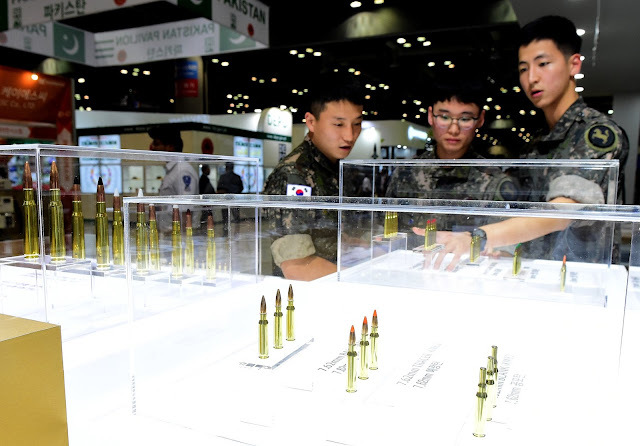 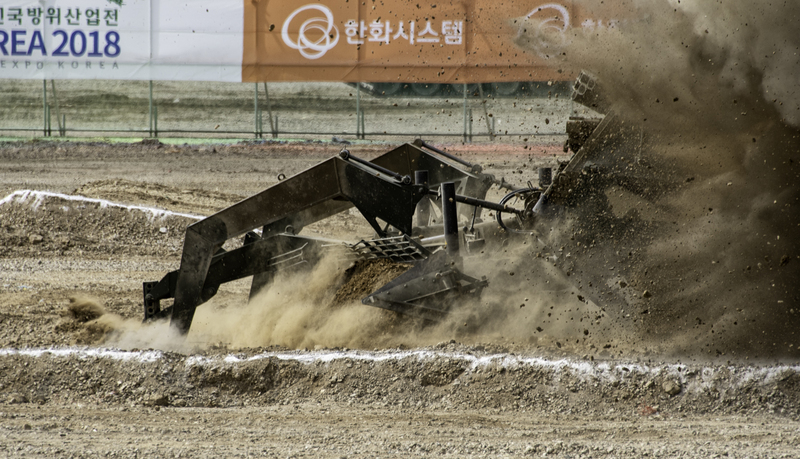 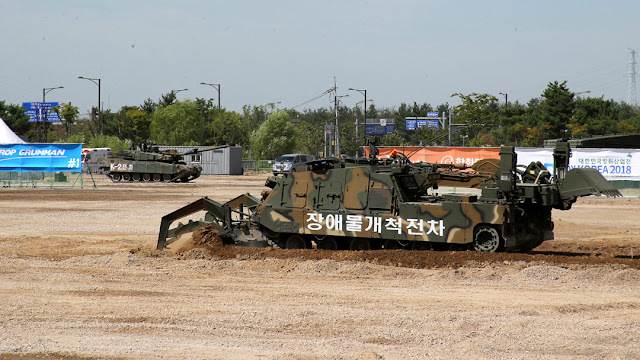 Blog about various topics regarding the Republic of Korea (ROK) Armed Forces. 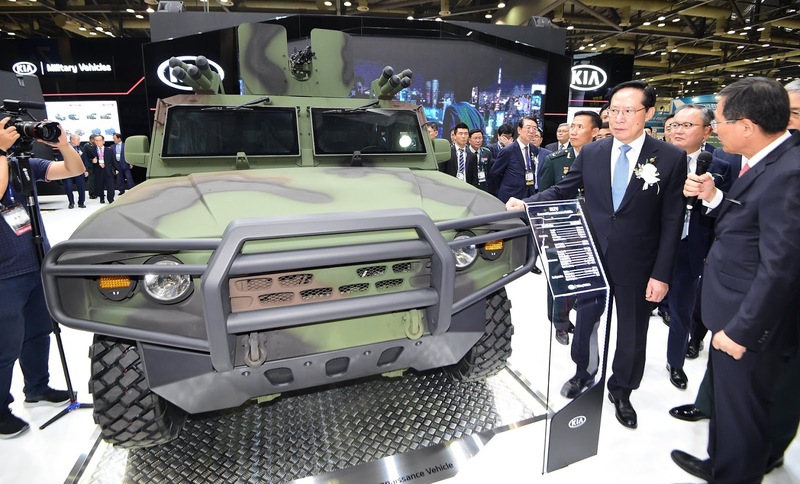 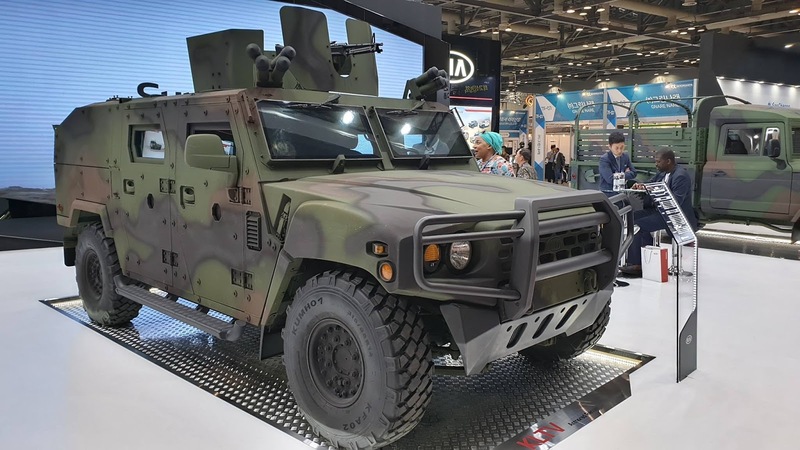 K151 Kia Light Tactical Vehicle - Armored Reconnaissance Variant. 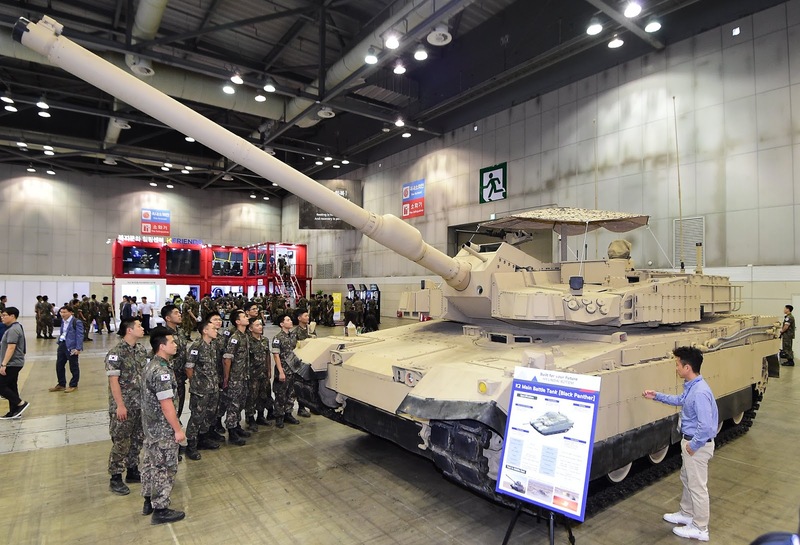 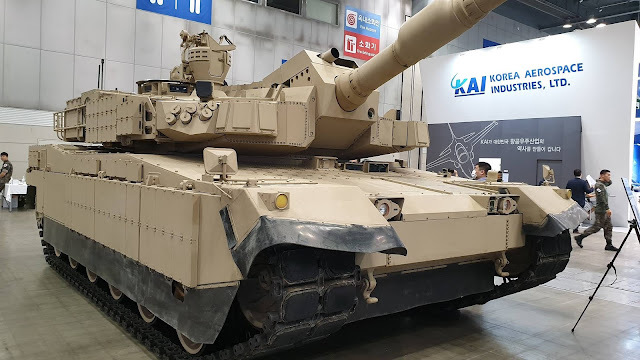 K2 Black Panther main battle tank - Middle East export variant. 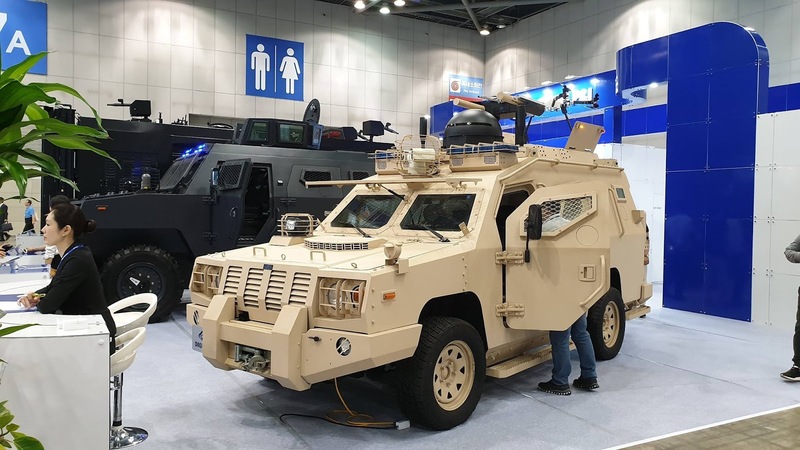 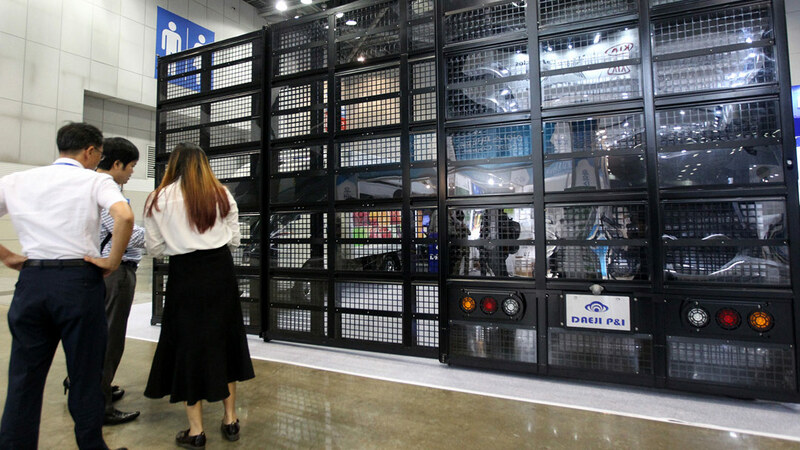 Armored vehicles manufactured by domestic firm. 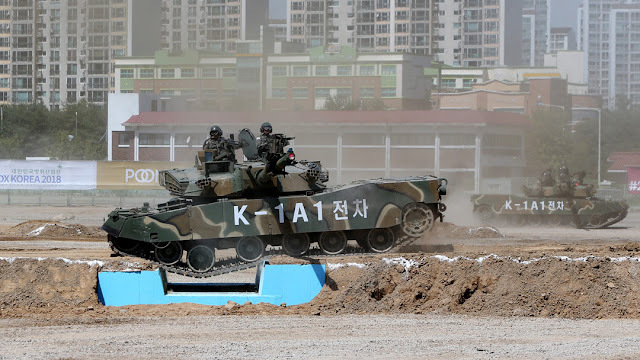 Future camo patterns on Warrior Platform. 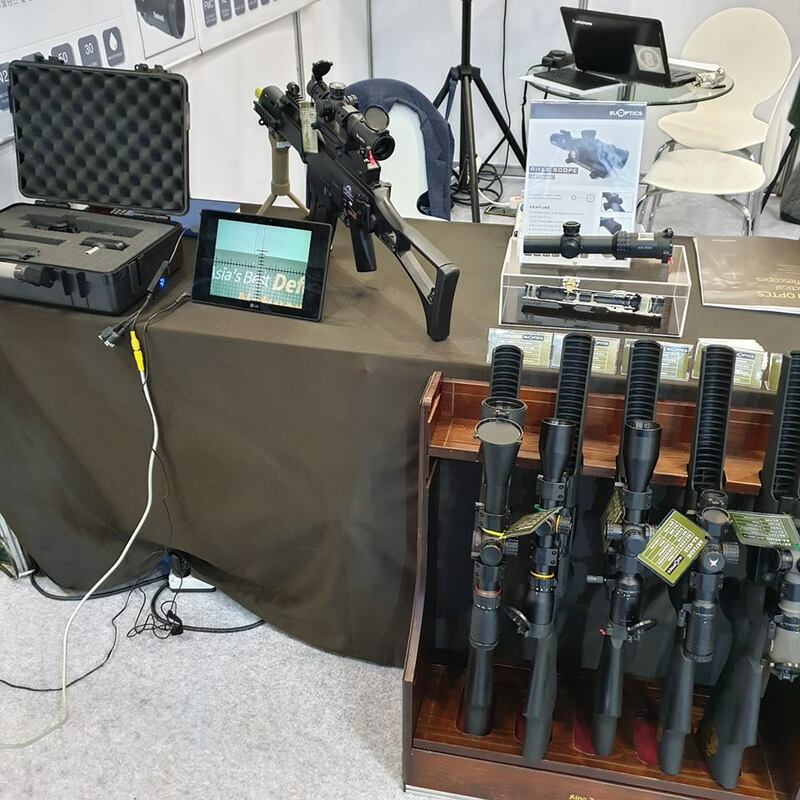 Optics manufactured by SU Optics. 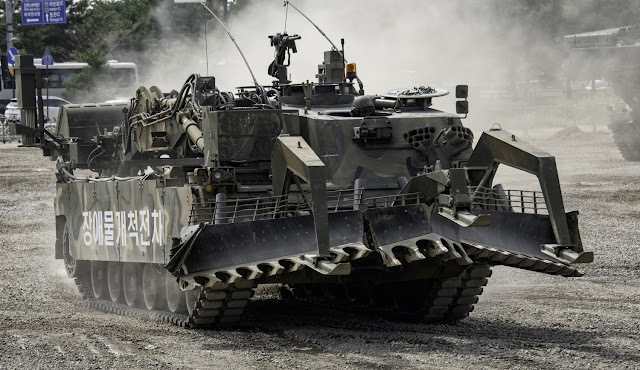 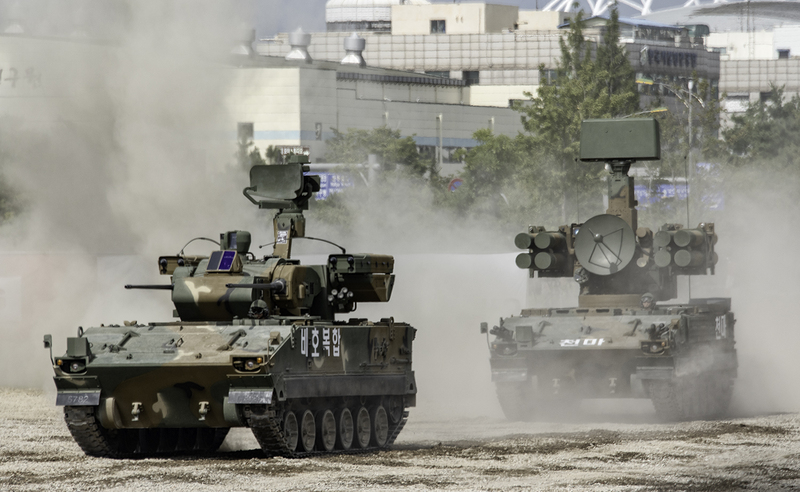 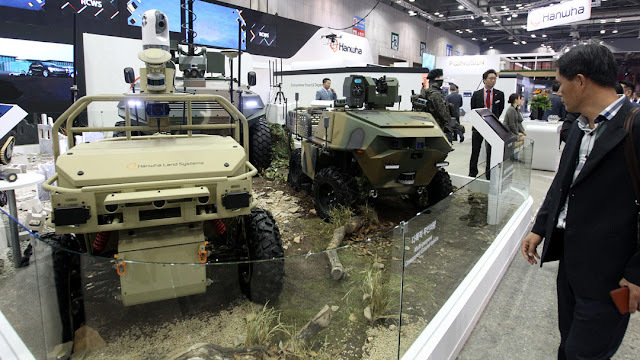 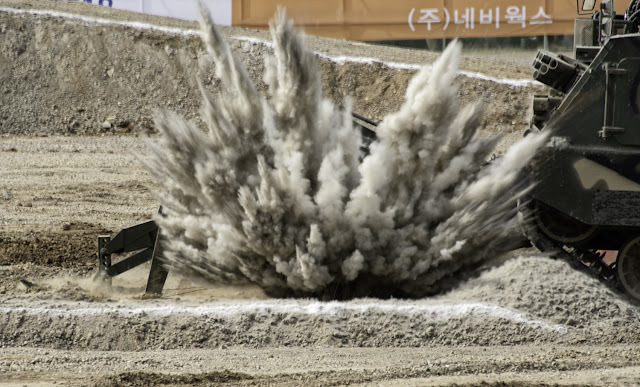 Remote weapon system & Unmanned Ground Vehicles. 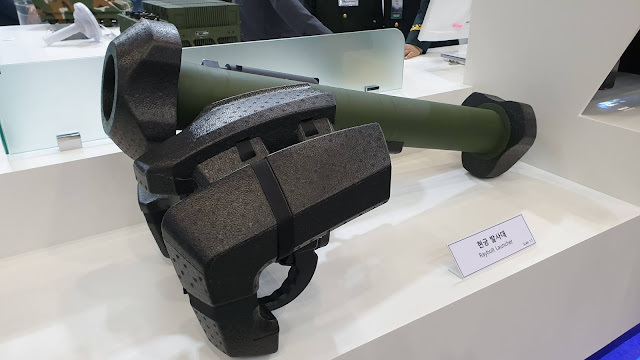 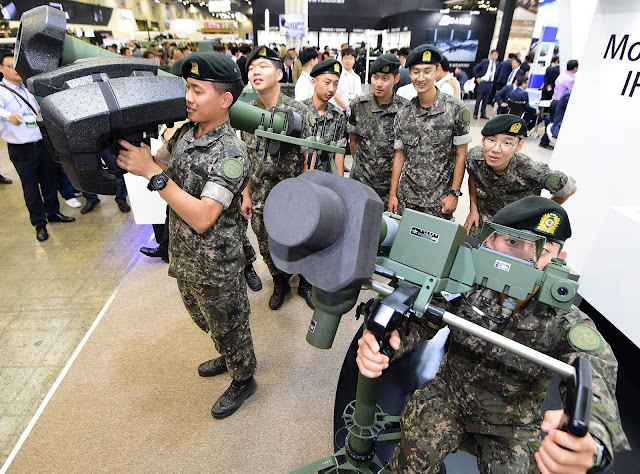 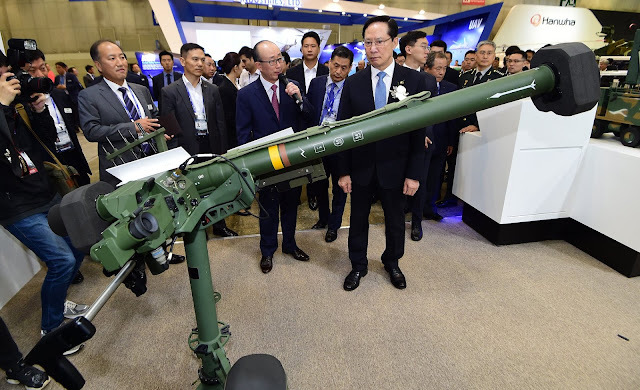 LIG Nex1 Raybolt (Hyeongung) ATGM launcher. 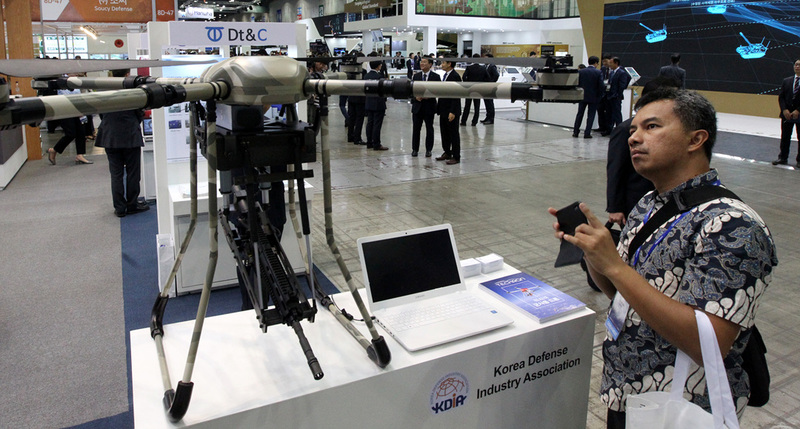 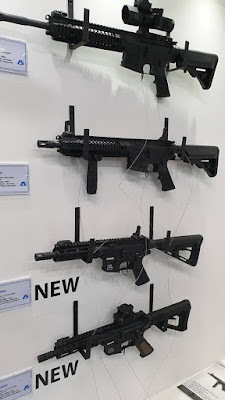 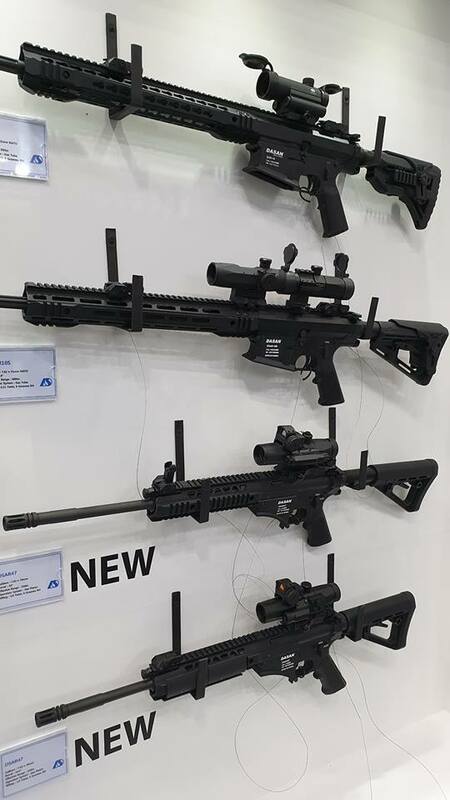 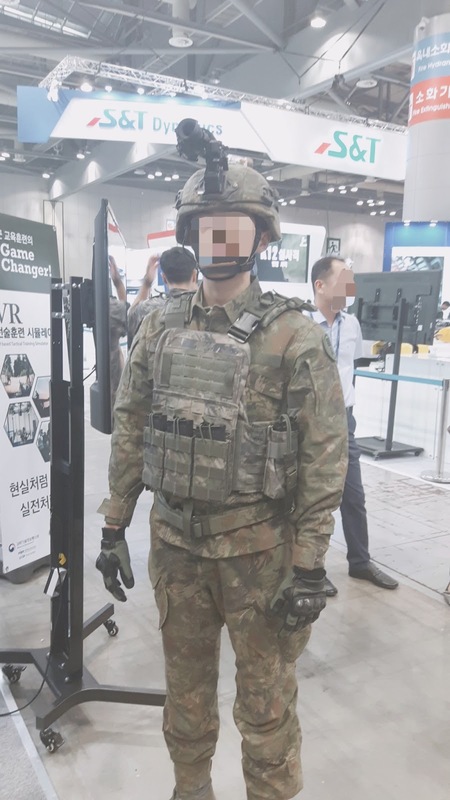 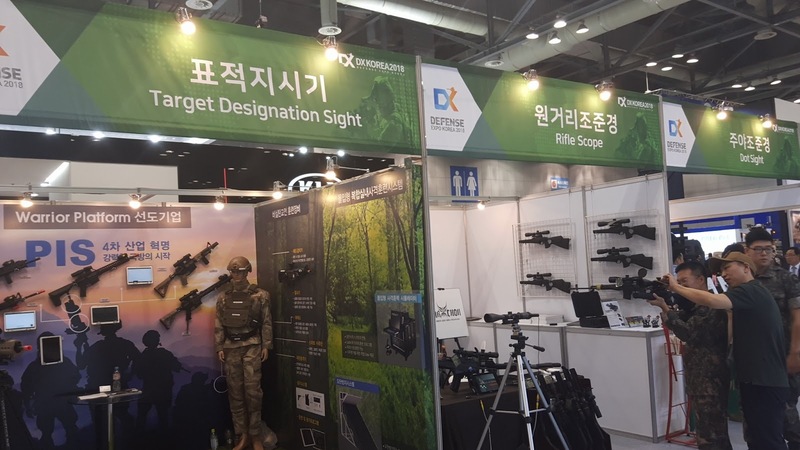 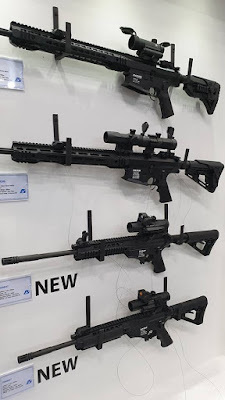 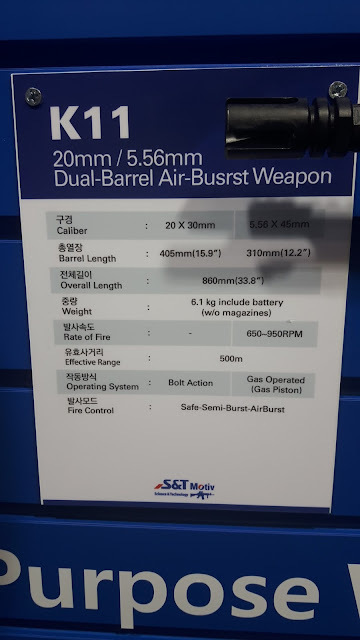 Firearms produced by Dasan Machineries Co. (다산기공). 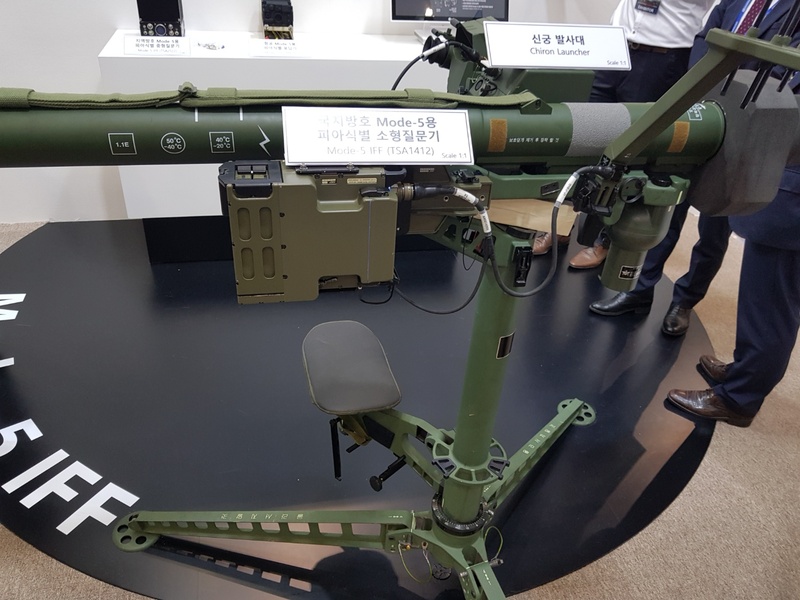 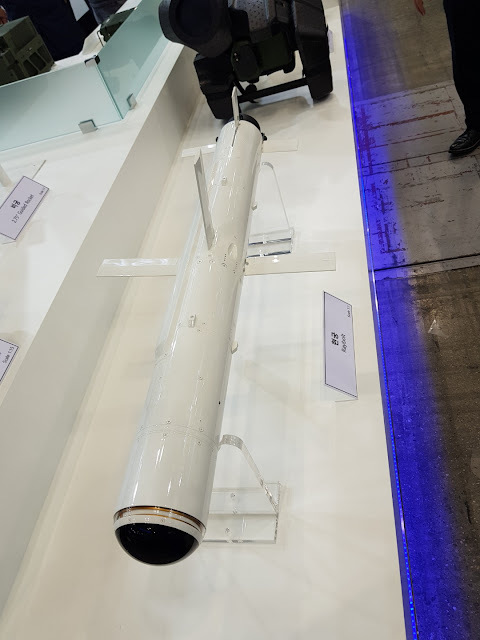 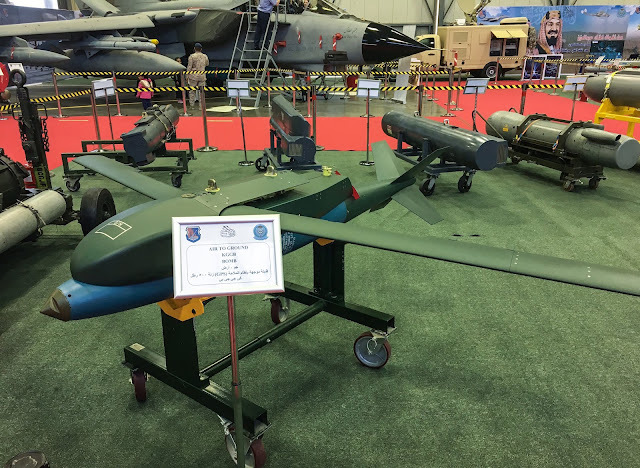 LIG Nex1 Raybolt anti-tank guided missile. 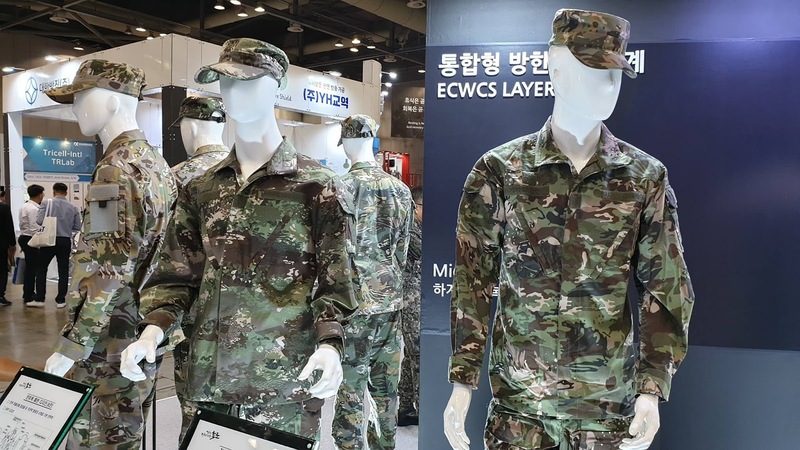 Future camo pattern prototypes. 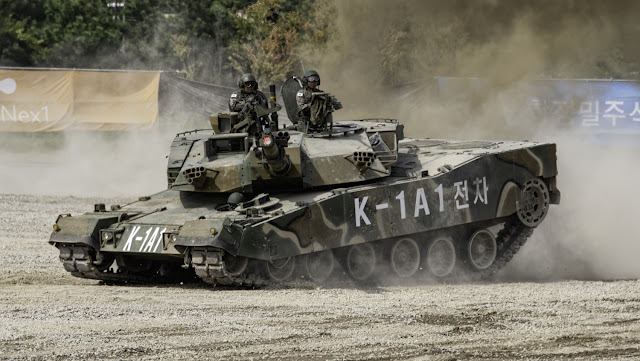 Left to Right: "Tiger," "Small Rock," "Taeguk"
Taeguk pattern on Warrior Platform. 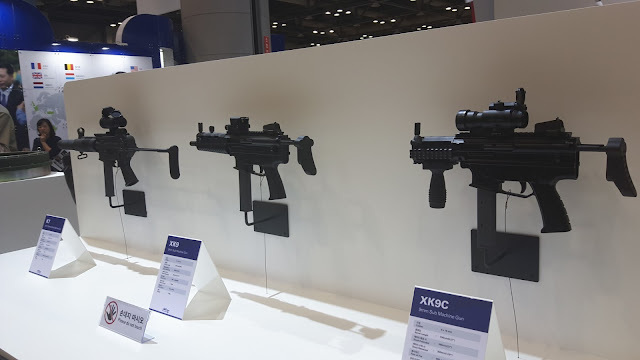 S&T Motiv K7, XK9, and XK9C Motiv submachine guns. 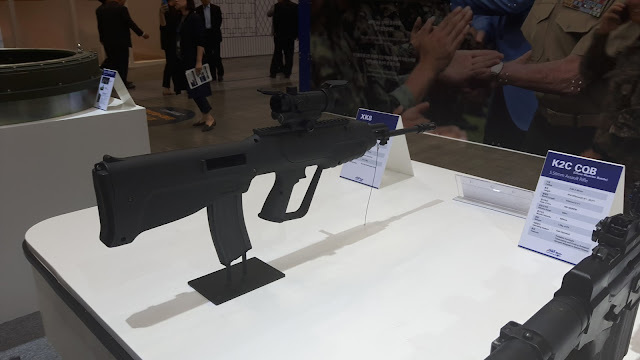 S&T Motiv XK8 bullpup rifle. 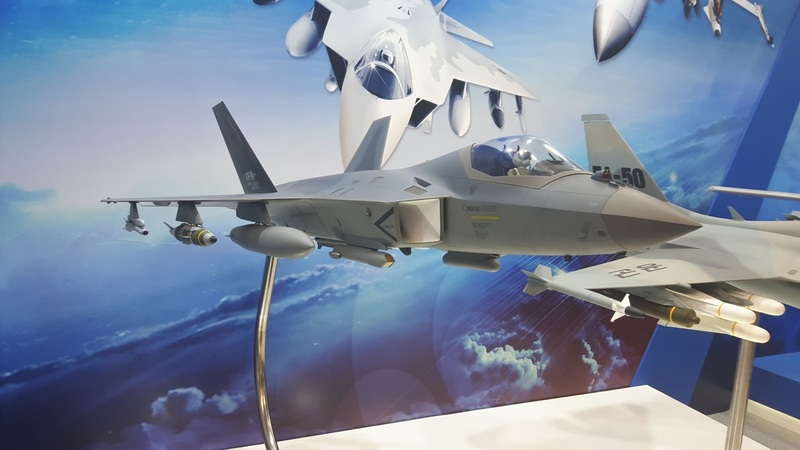 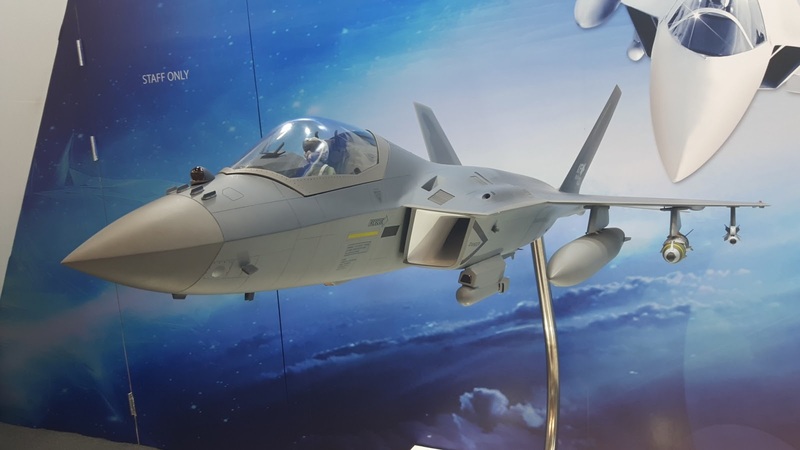 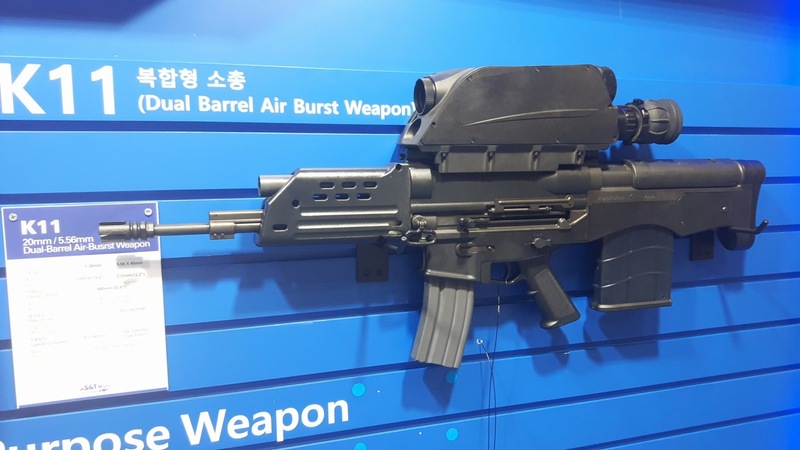 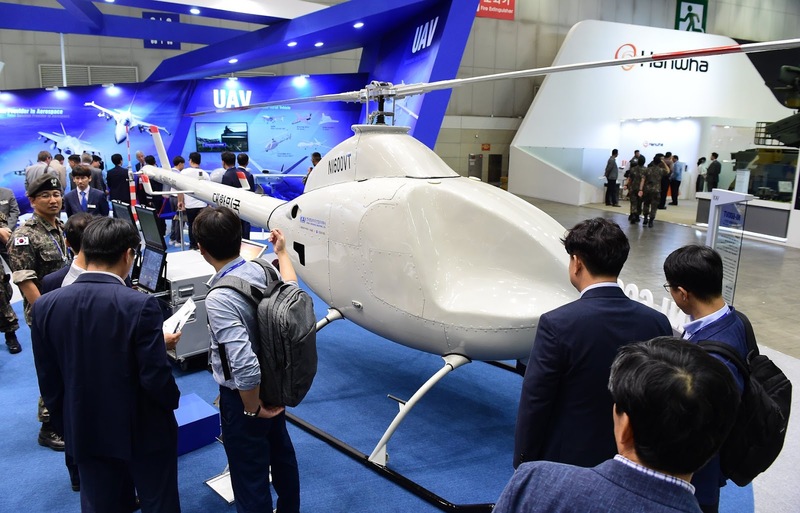 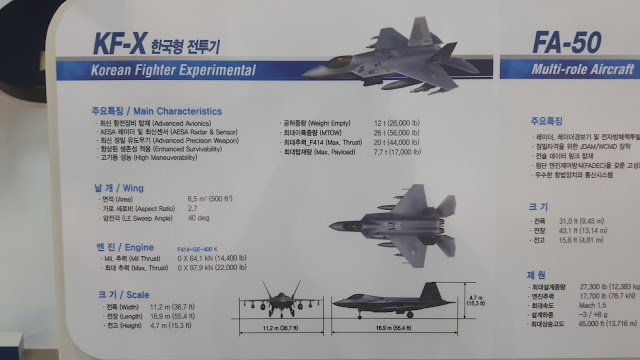 Korea Aerospace Industries KF-X C109 model. 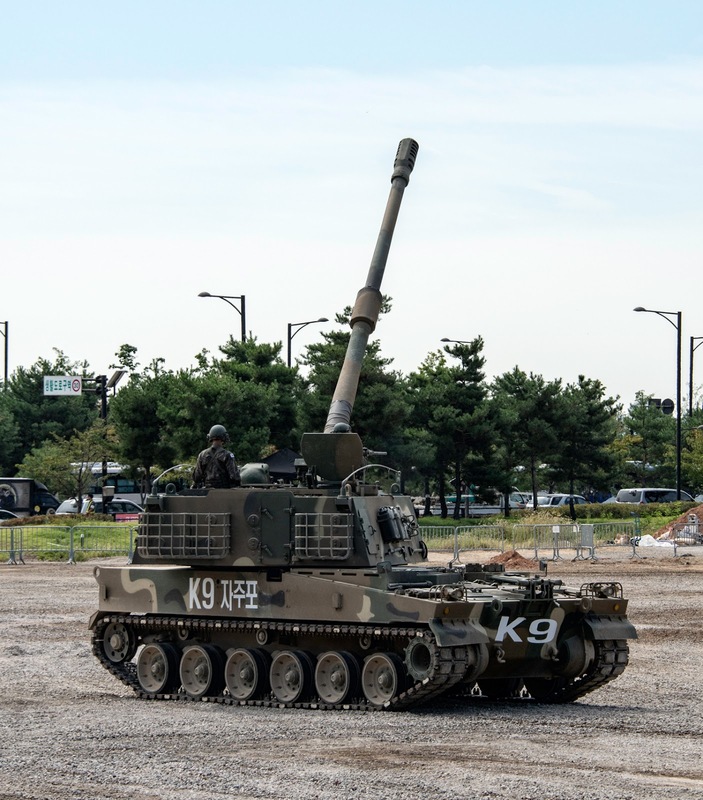 K30 Biho self-propelled anti-aircraft gun. 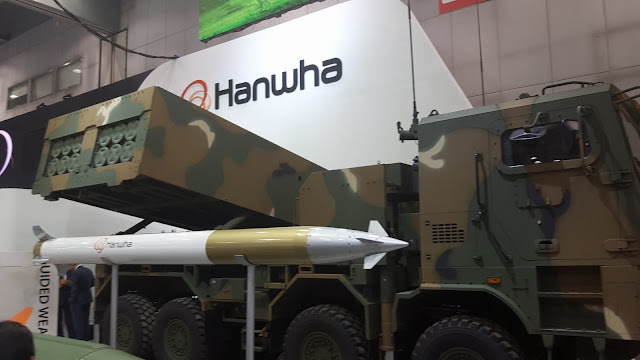 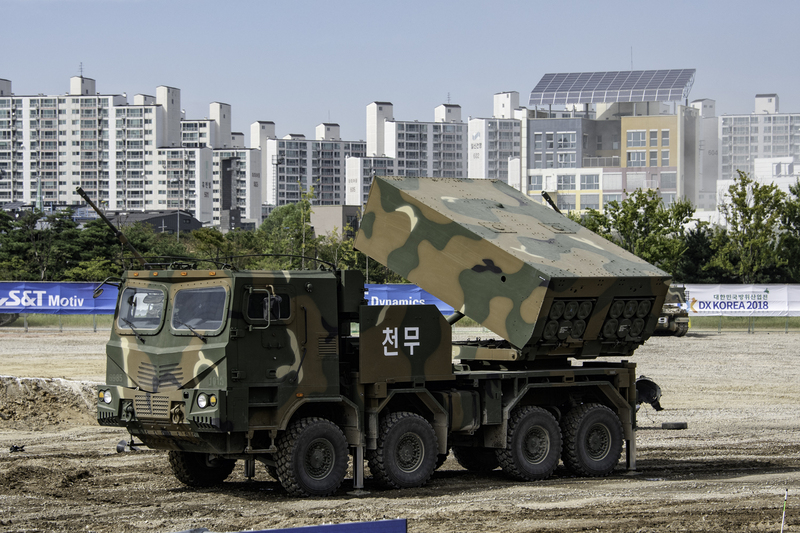 K239 Chunmoo multiple rocket launcher. 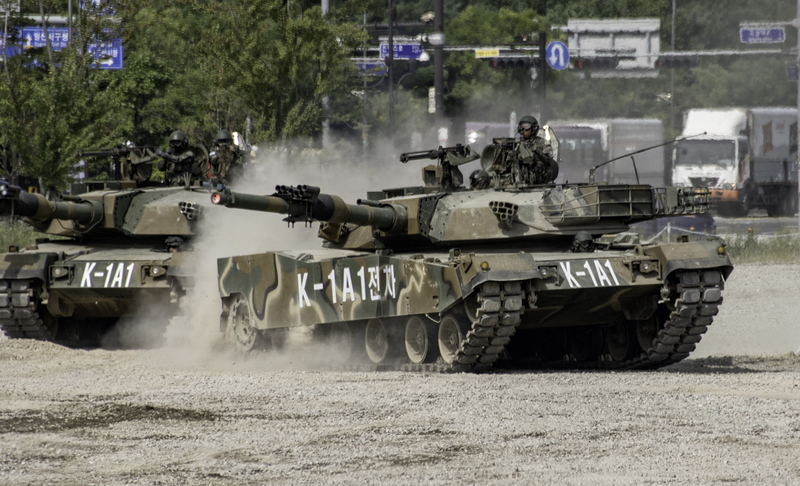 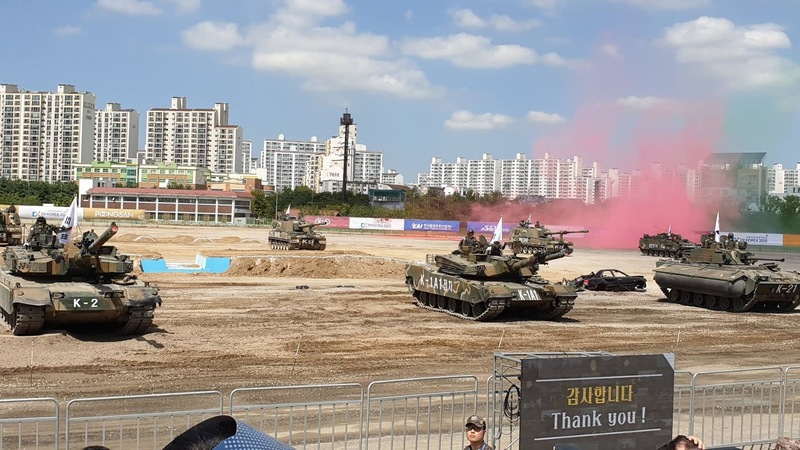 Pair of K1A1 main battle tanks. 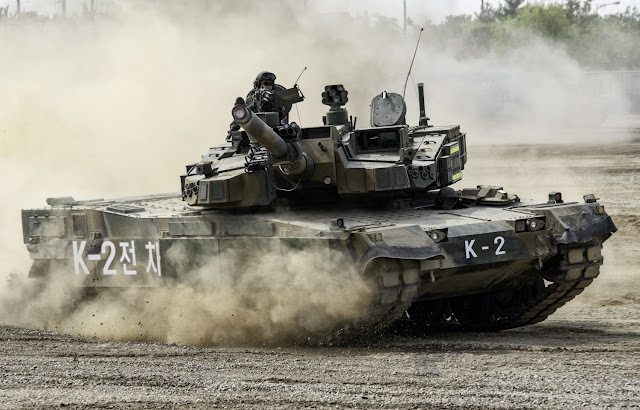 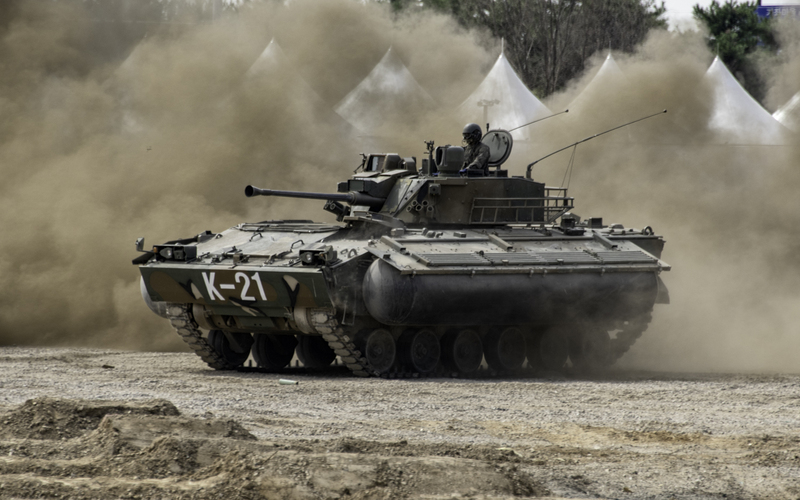 K2 Black Panther main battle tank. 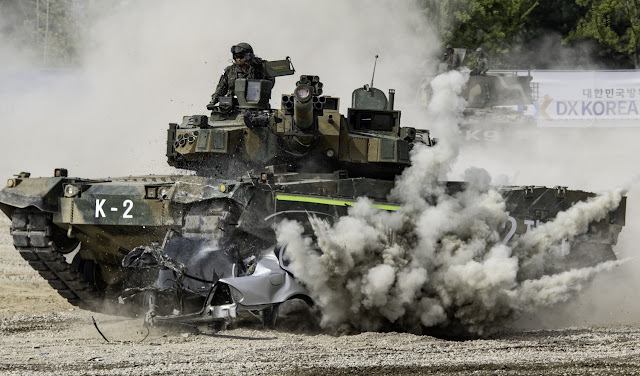 K2 Black Panther crushing a car. 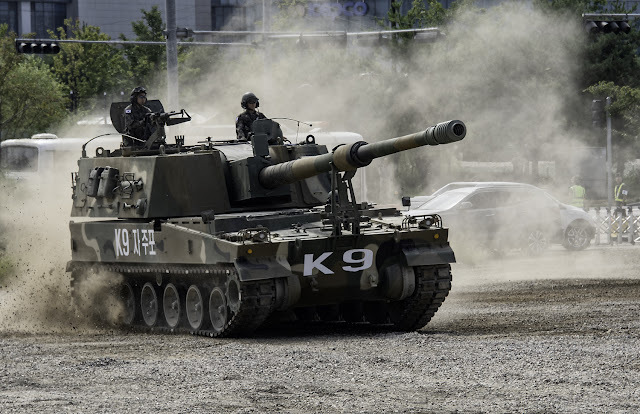 K9 Thunder at firing position. K21 with inflatable tubes deployed. 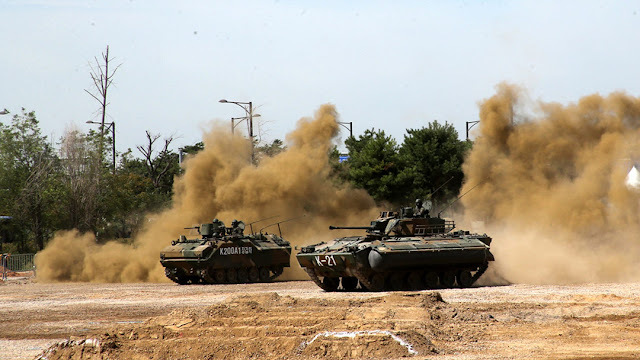 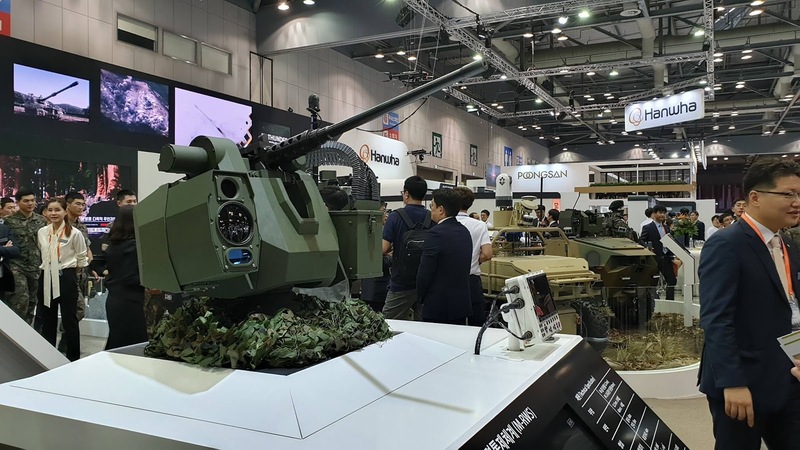 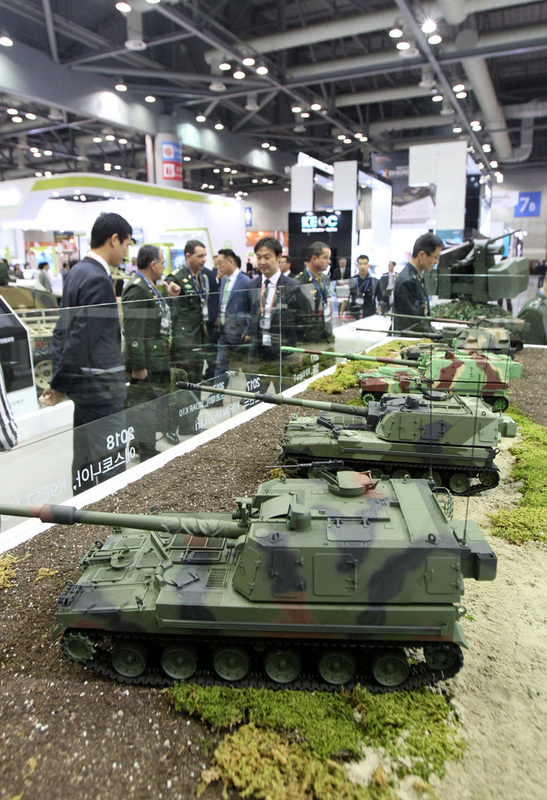 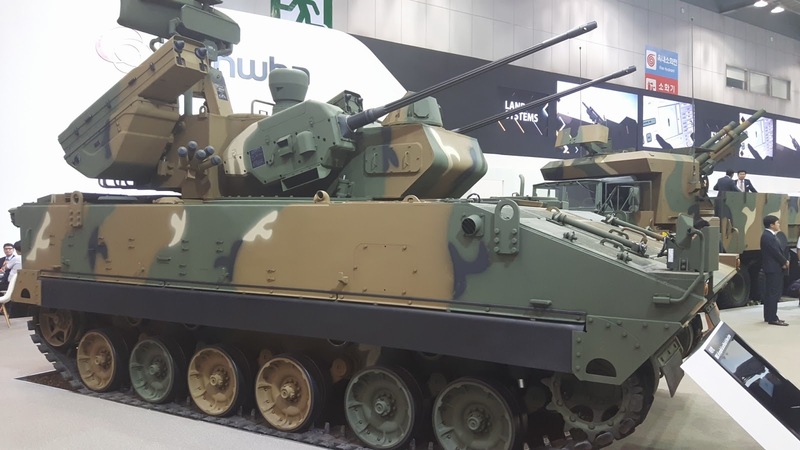 K30 Biho self-propelled anti-aircraft gun and K31 Chunma surface-to-air missile system. 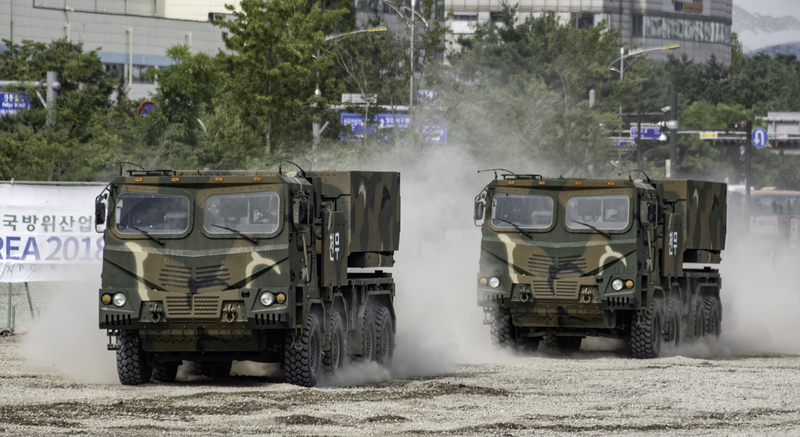 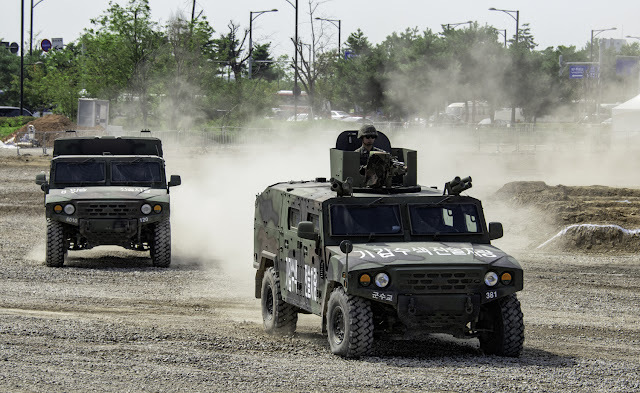 Pair of K151 Kia light tactical vehicle. 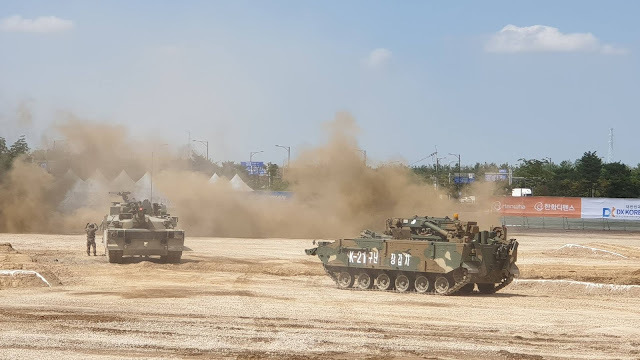 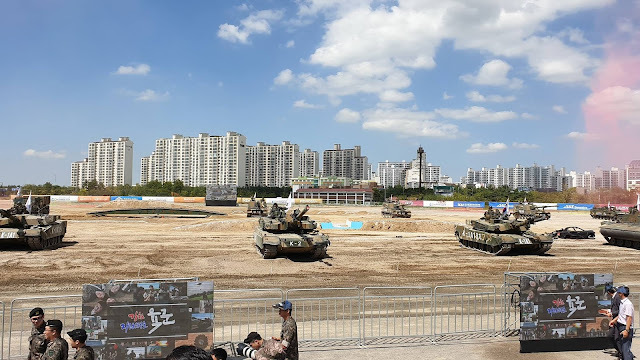 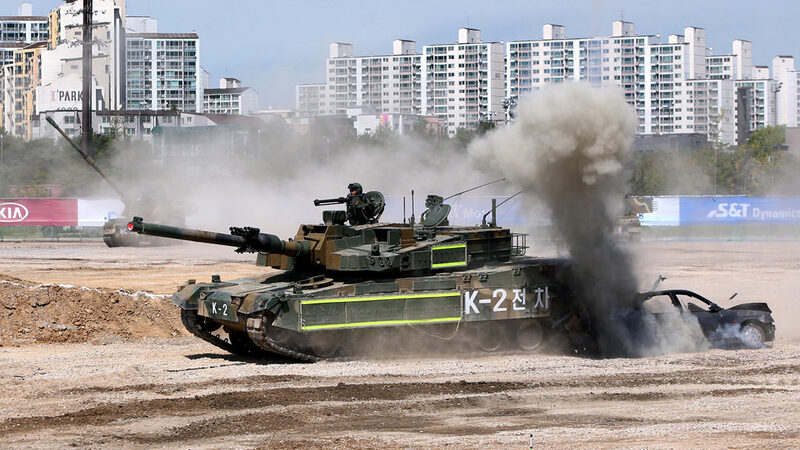 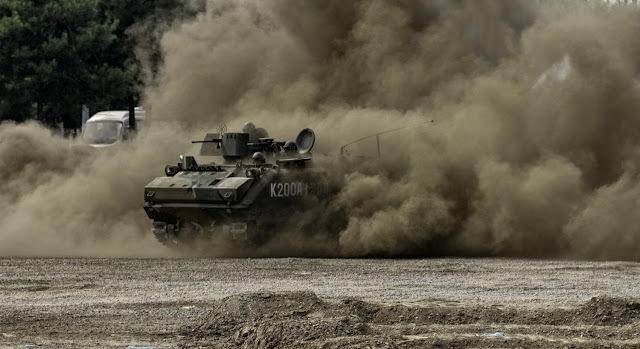 K239 Chunmoo at firing position. 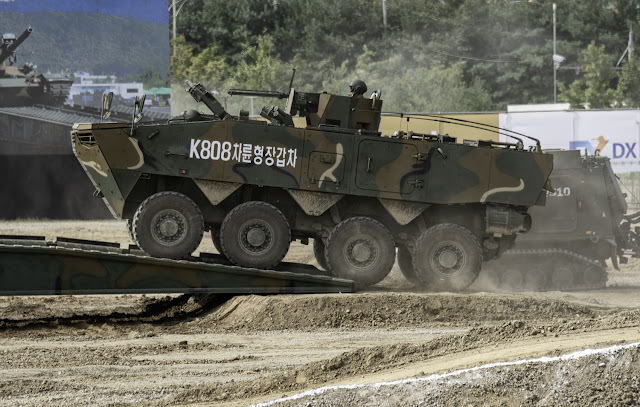 K806 6x6 armored personnel carrier. 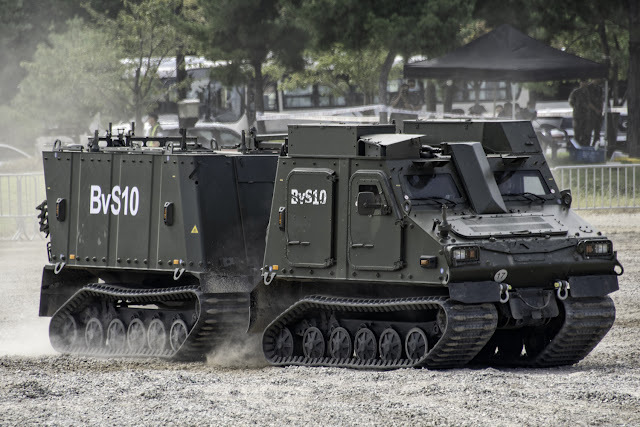 K808 8x8 armored personnel carrier. 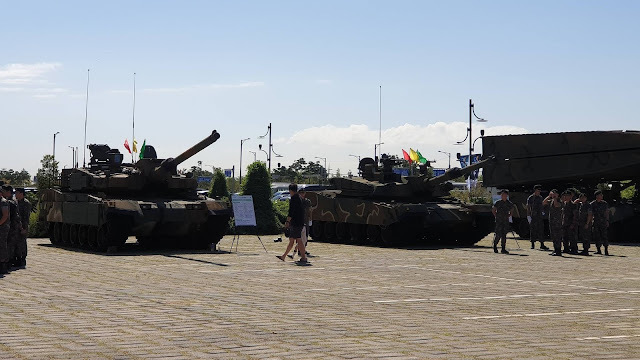 Photo Credits: DC Inside user "aoc"
Various armored vehicles on display. 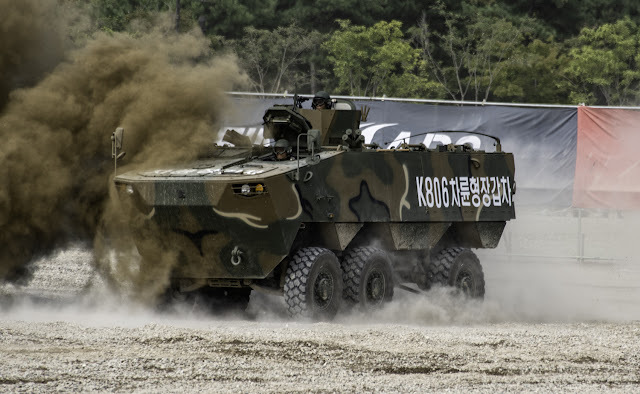 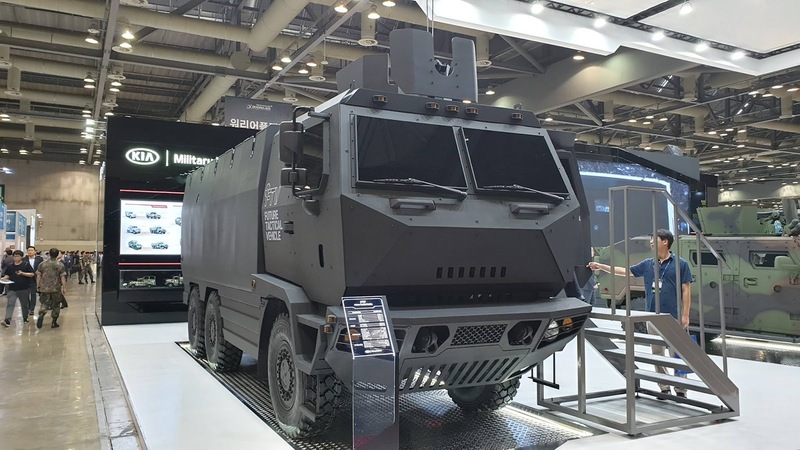 Recently-introduced K600 combat engineering vehicle. 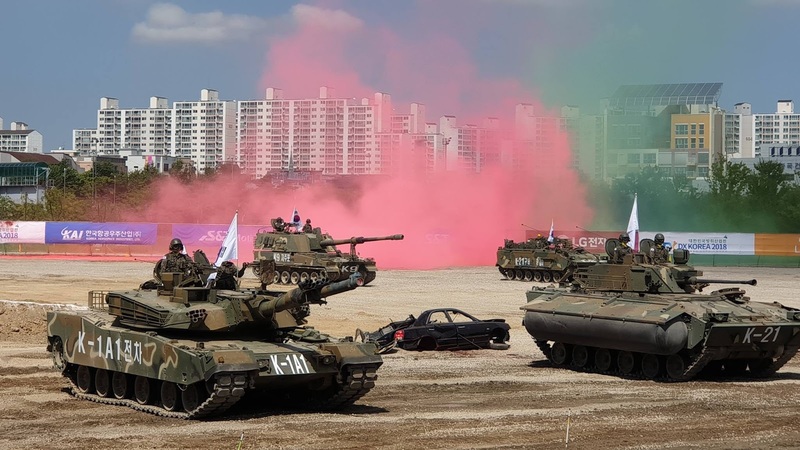 K2 Black Panther crushes a car.